Spacious with reasonably good facilities. The property management were responsive and pleasant. Good communication. Good location. Close to local train station (great access, 3 day ticket, all-access (bus, underground, tram) 17 Euro - can get at tube station or at front desk - said they could do it cheaper after the fact), Billa close by for groceries (2 blocks), easy/quick to get downtown for amazing sightseeing, Hop-on-Hop-off bus right out front door if desired), rooftop deck outstanding, attic windows both sides huge plus (sunrise and sunset), bathroom big/nice, washer/dryer available in basement (elevator available), kitchen clean, new, with all appliances, TV, free WiFi (worked well!). Would live there!! The views and the close connections with the city. Beautiful and clean apartment just like on the pictures. The stuff is extremely friendly and it wasn’t far from the sights. Recommend! Nice, large apartment. The kitchen has all appliance needed. heating system worked very well. Close to downtown and it is very safe. less than 7 minute work for a metro station. Many supermarkets withing close walking system. Excellent apartment, nice views over Donaukanal on one side and Hundertwasser's Kunst Haus through the courtyard. 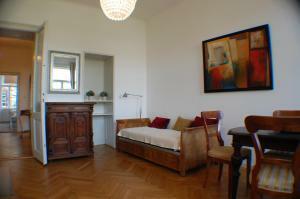 Good location, close to public transport connections as well as just fine for walking to Innere Stadt and beyond. Very friendly ladies at the reception desk. Apartment itself felt enormous and very comfortable, kitchen very clean and well equipped, very warm inside despite the very cold weather and the wind. I would definitely go back, thank you for the great stay! The location is perfect and the apartment is beautiful! Property was quite big and nice. Location is very good, nearby city center. Staff was great. Lock in a great price for Kunsthaus Apartments – rated 8.8 by recent guests! One of our top picks in Vienna.The stylish Kunsthaus Apartments are located in a historic building with high ceilings next to the Kunsthaus Wien and the Hundertwasser Museum. 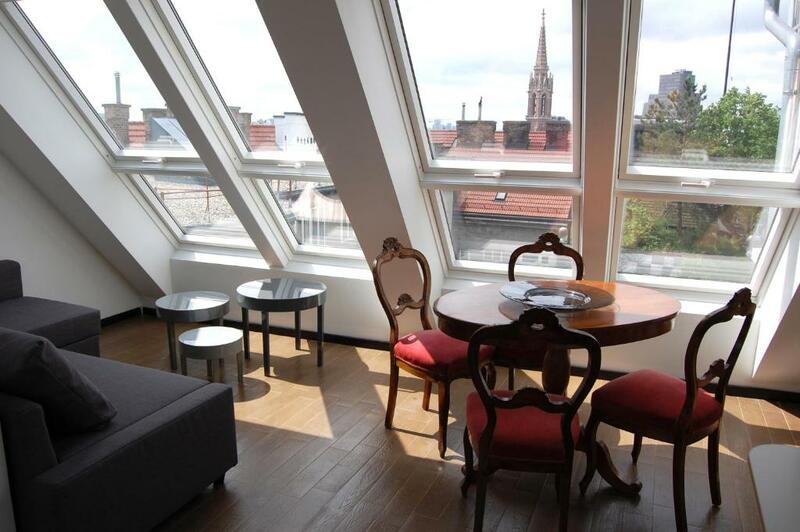 It offers views over the Donaukanal and of the original façade of the Kunsthaus. Featuring selected antique pieces of furniture, the Kunsthaus apartments come with a fully equipped kitchen including a dishwasher and a microwave. Free WiFi and an underfloor heating system are available as well. Most units can be accessed by an elevator. A hop-on-hop-off sightseeing bus stops in front of the building. Within a 2-minute walk you can reach tram line 1 which gets you to Vienna's famous Ringstraße boulevard and to the Prater recreation area in 5 minutes. The CAT City Airport Train station is a 10-minute walk away. Supermarkets, restaurants, a bakery, a bank and a post office can be found in the immediate vicinity. 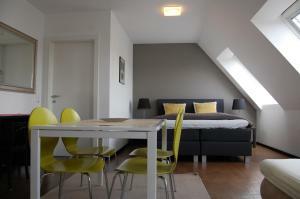 When would you like to stay at Kunsthaus Apartments? Elegant apartment on the third floor with a living room, a bedroom, a well-equipped kitchen, a bathroom and toilet. It is equipped with wooden floors, flat-screen TV, a washing machine, and a hairdryer. 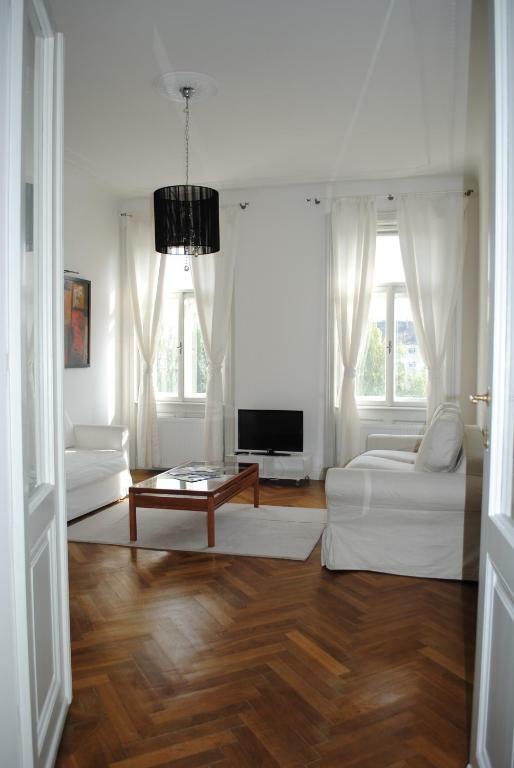 Elegant apartment on the third floor with a living room, a bedroom, a well-equipped kitchen, a bathroom and toilet. It is equipped with wooden floor, flat-screen TV, a washing machine, and a hairdryer. This elegant apartment is located on the 3rd floor and comes with a combined living and sleeping area, a bedroom and a well-equipped kitchen. The bathroom is fitted with a bathtub, a shower and a hairdryer. The apartment is on the street side. Located on the 4th floor, this studio features a terrace with views of the Kunsthaus Wien, a flat-screen TV, a kitchenette, a bathroom with a shower, toilet and hairdryer. Located on the 4th floor, this studio provides a flat-screen TV, a fully equipped kitchenette, a modern bathroom with a shower, toilet and hairdryer. It also offers city views. The apartment is accessible by elevator. The apartment is on the street side. Located on the 4th floor, this modern, air-conditioned studio features a terrace with views of the Kunsthaus Wien, a well-equipped kitchenette, a bathroom with a bathtub and shower, toilet and hairdryer. The apartment is accessible by elevator. Apartment with free WiFi, a fully equipped kitchen, and a bathroom with a hairdryer. It also features a living room with a single bed and a sofa bed for 2 people.The apartment is on the street side. This studio features air conditioning, dining area and microwave. This studio has a tile/marble floor, kitchenware and oven. This studio features a oven, kitchenware and dishwasher. Modern, air-conditioned apartment with tiled floor on the 5th floor. It offers a view to the city and comes with a fully equipped kitchen, and flat-screen TV, and a modern bathroom with toilet, a shower, and hairdryer. The apartment is accessible by elevator. 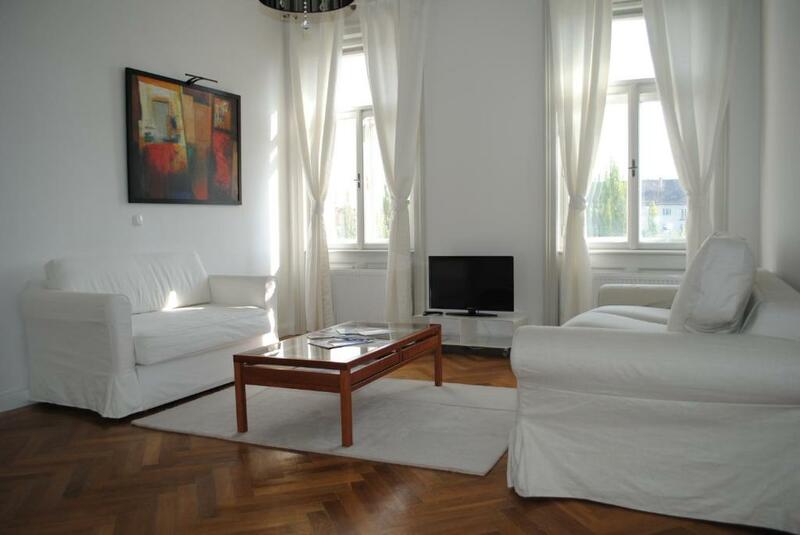 Spacious apartment on the first floor featuring parquet floors, a separate and fully equipped kitchen, a living room with a sofa, flat-screen TV and a dining table. There are 2 modern bathrooms, one with a bathtub and one with a shower, as well as a separate toilet. The apartment is accessible by elevator. The apartment is between the street side and the court side. Modern, air-conditioned studio with tiled floor in the attic. It offers panoramic city views and comes with a fully equipped kitchen, a living/bedroom with a double bed, a sofa bed for 2 people and a seating area with a TV. There is a modern bathroom with a toilet and a shower. You have direct access to the shared rooftop terrace. The studio is only accessible via stairs. Modern, air-conditioned studio with tiled floor in the attic. It offers panoramic city views and comes with a fully equipped kitchen, a living/bedroom with a double bed, a sofa bed for 2 people and a seating area with a TV. There is a modern bathroom with a toilet and a bath. Spacious apartment with high ceilings, a flat-screen satellite TV and a fully equipped kitchen. Two bedrooms come with 1 double bed and 1 single bed, while one bedroom has 2 single beds. This apartment has a sofa and kitchen. One bedroom comes with 1 double bed and 1 single bed and a living room comes with one sofa bed for 2 people and 1 single bed. Spacious apartment on the first floor featuring parquet flooring, a separate and fully equipped kitchen, a living room with a sofa bed and 2 bedrooms, each with a double bed and a single bed. There is a modern bathroom with a shower. In jeder Ferienwohnung ist TV und Internet (WIFI) vorhanden, sowie ein ausziehbares Sofa, welches als Schlafgelegenheit für 2 Erwachsene genutzt werden kann. Alle Küchen sind komplett neu und mit einem Geschirrspüler, einem Herd mit Backofen, Mikrowelle, einem Kühlschrank, und komplett mit Besteck und Geschirr und Kochgeschirr ausgestattet. Das Haus liegt in einem der schönsten Teile der Stadt Wien, im 3. Wiener Bezirk, sehr zentral gelegen und in der Nähe der Einkaufsmeile Landstraßer Hauptstraße sowie der Ringstraße. Area Info – This neighborhood is a great choice for travelers interested in old-town exploration, architecture and city walks – Check location Great location - show map Guests loved walking around the neighborhood! House Rules Kunsthaus Apartments takes special requests – add in the next step! One child from 4 to 11 years is charged EUR 10 per person per night in an extra bed. Kunsthaus Apartments accepts these cards and reserves the right to temporarily hold an amount prior to arrival. Please note that the property has no reception. Please contact the owner in advance for check-in arrangements. Contact details are stated in the booking confirmation. Please note that there is no daily cleaning. Please inform Kunsthaus Apartments of your expected arrival time in advance. You can use the Special Requests box when booking, or contact the property directly using the contact details in your confirmation. They are doing best to get at least one wifi connection working, however it sometimes dosent work work for a moment. Modern, clean, light, well situated. Very kind and helpfull personal. Five of us were sharing so the things that could be improved were: 1) only one toilet and one bathroom 2) only two sets of keys - given this, we had to leave keys in the safe outside the building which was accessible by other guests on the apartment block 3) two beds did not have sheets on arrival (though this was quickly sorted out) 4) no screen for bath so water was on the floor after a shower 5) curtains not secure - on a thin rail 6) all doors have opaque glass at front including bathroom so not entirely private 7) the bathroom tap continuously leaked - didn’t bother us but not environmentally friendly There’s a redundant room at the back next to the kitchen which could be converted to another shower room or toilet which would massively improve the property. Bad smell coming from kitchen sink - there was no plug provided to block the smell. Also, the bathroom above our apartment was leaking into the bathtub - not a major issue but needs to be looked into. We came in later than usual check in time, but the instructions to collect the keys and enter the apartment were easy to understand! We chose location to be _slightly_ away from the Ringstrasse but an easy walk for a couple in their 70s. It turned out to be perfect. The hosts were on-site and helpful. Our apartment was a few floors up ... and there is an elevator :-) The facilities were all that we wanted. Clean, well thought out place with a good view of the Danube from the front windows. Location was perfect for us. Near a park for morning runs. Right beside the Hundertwasser museum and not far from public transportation. 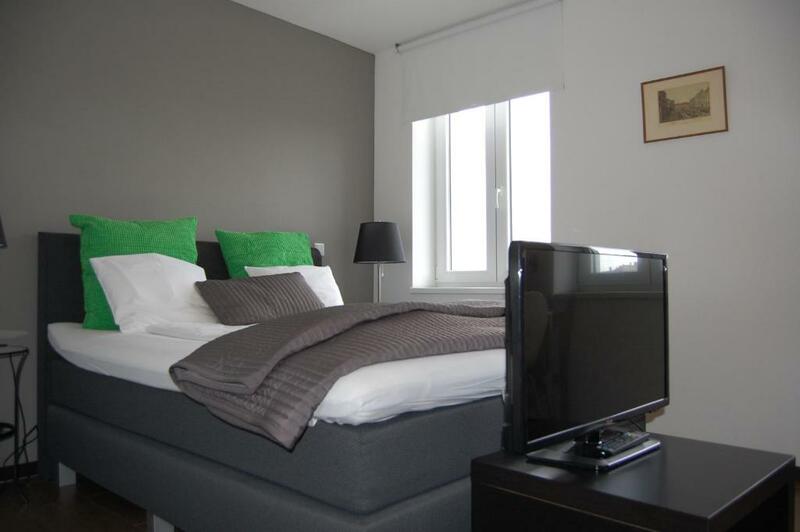 Very cosy and comfortable apartments close to the city center (10 min by walk or 5 min by tram). Wonderful window view to court (and cafe) of Hundertwasser museum. Excellently equipped kitchen and bathroom. When we will be in Vienna next time then we will book this cosy apartments only!!! Wi-Fi was unstable quite often. Noise from the road with opened windows. Big, clean and comfortable apartment with everything needed. Relatively close to the old town center. Spacious, clean and the views. Big size apartment is so diferent than the pictures. Only one wc (but 2 bathrooms) for a flat with 6 beds! The wifi connection was very bad!! !and we didn't have warm water at our room!!! Good location !! !2 km from city centre!! Value for money for Vienna!! We arrived at midnight and the management sent us texts to remind us exactly how to collect our keys which was very easy. The room was very quiet and the bed was comfortable. Prepared my own breakfast in the kitchenette in the apartment. Rapid access to city centre and Landestrasse/Mitte on the tram. 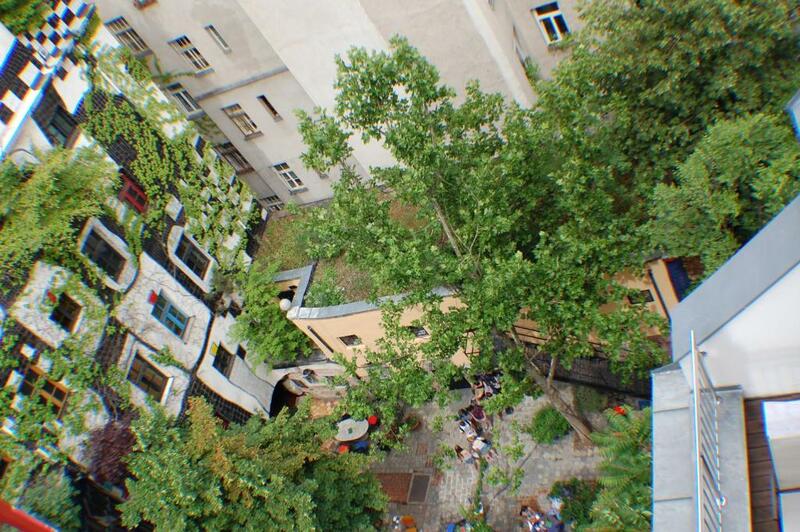 Quiet apartment near the Danube Kanal and Hundertwasser Museum. Excellent view from both sides of the apartment.